The United Kingdom, known as the cradle of the modern Industrial Revolution, is a country with a long history and the home of eminent scientists, philosophers and writers, having made great contributions to the world civilization. The United Kingdom nowadays remains an impressive place. The City of <?xml:namespace prefix = st1 ns = "urn:schemas-microsoft-com:office:smarttags" />London, the British Museum, the English Premier League and West End theatres continue to fascinate travelers around the world. China, a large country with a continuous history of over 5,000 years, has also significantly contributed to the progress of human civilization. Since 1949, China has gone through transformative changes. In the past 30 years, in particular, it has made enormous achievements, invigorating its ancient history with youthful vigor. China and the United Kingdom have had a long history of extensive and profound interactions. The United Kingdom is the first major Western country to recognise the People's Republic of China. In recent years, the two countries have enjoyed close high level exchanges, in-depth cooperation in various fields, growing mutual understanding and friendship between the peoples and closer communication and collaboration in international affairs. 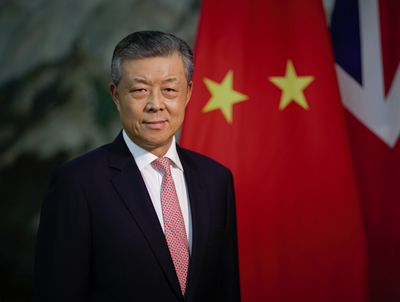 The development of Sino-British relations is not only in the fundamental interests of the two peoples, but also conducive to peace, stability and prosperity around the world. I hope you have an enjoyable visit to the website. Your comments and suggestions are always welcome and will enable us to improve it further.